"As I Was Moving Ahead... is a record of subtle feelings, emotions, daily joys of people as recorded in the voices, faces and small everyday activities of people I have met, or lived with, or observed -- something that I have been recording for many years. This, as opposed to the spectacular, entertaining, sensational, dramatic activities which dominate much of the contemporary film-making. "Now, all this has to do with my understanding and belief of what acts really affect the positive changes in man, society, humanity. I am interested in recording the subtle, almost invisible acts, experiences, feelings, as opposed to the tough, harsh, loud, violent activities and political actions, and especially, political systems of our time. As a film-maker, I am taking a stand for the politics that have been practiced by some of the artists of my generation who believe that more essential, positive contributions to the upholding and furthering of the best in humanity, have been made, say, by John Cage or Albert Camus, and not by the great political figures of the 20th century. The film is not conceived as a documentary film, however. It follows a tradition established by modern film poets. 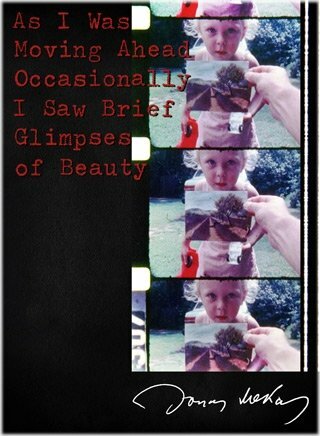 I am interested in intensifying the fleeting moments of reality by a personal way of filming and structuring my material. A lot of importance is being given to color, movement, rhythm and structure -- all very essential to the subject matter I am pursuing. I have spent many years developing and perfecting a way of catching the immediacy without interfering with it, without destroying it. I believe that some of the content that I am trying to record with my camera and share with others, can be caught only very indirectly though the intensity of personal involvement."